The DICTATOR control systems are the correct solution for many applications. 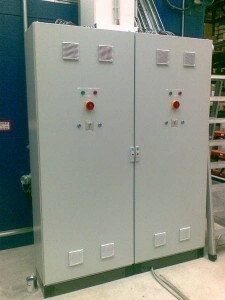 The product line offers for all types of door operators – AC and DC – the appropriate standard control system. Already with the basic versions of the DICTATOR control systems many possible functions are available to configure them according to the customers’ requirements. Where these are not sufficient and special additional functions are needed, we will develop and produce suitable extra modules. In case that still is not enough, DICTATOR will configure the complete control system to match with your application. Special solutions are our speciality!